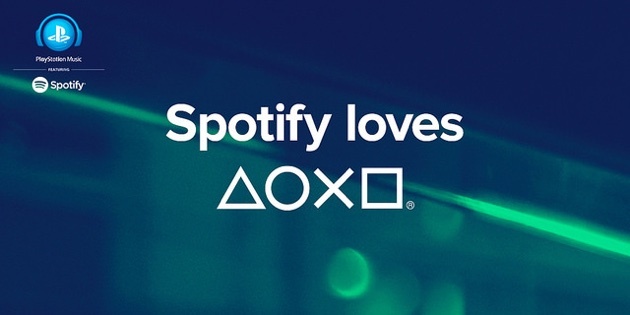 As has been reported, Sony is shutting down its Music Unlimited subscription service and replacing it with Spotify, which launches on the PlayStation 4 today. With Music Unlimited shutting down and the new service live, it is time for me to leave my position at Sony and move on. This event was the culmination of the last 3 years of my professional life. This was by far the most difficult and challenging job I have ever had in my career, and the most challenging of the many, many music services I have helped build, launch, and operate. For a variety of reasons, I will not be discussing it in detail. Suffice it to say that it was quite an experience. These last 3 years were exhausting, but I remain grateful for the opportunity. I traveled to London, Tokyo, Stockholm, and other amazing places. I met some remarkable, wonderful people. During the last few months in particular, I endured many ups and downs, and learned who my friends really were. I'd like to believe I have emerged from this gig if not exactly unscathed, at least slightly wiser, seasoned, and confident, with a better understanding about who I am and what I do. My immediate team deserves special acknowledgement: Rebecca Carpenter, Nick Dedina, Maryann Faricy, Clane Hayward, Danielle Machado, Jon Pruett, and Seth Schulte all did an incredible job with very little. Also thanks to Al Fuentes, Takashi Hodama, Brian Kurtz, and Sarah Lemarie for program management support -- the other half of what made the business run. どうもありがとうございます to our colleagues in Tokyo: Yasuhiro Habara, Tohru Kurata, Satoshi Kobayashi, Yuki Hashimoto, and Itsuki Asanuma. Thank you for your hospitality and hard work. I also extend my heartfelt thanks to my supervisor Mike Aragon, for his unflagging support. And finally, thanks to my good friend Thomas Muer for bringing me in to Sony. For the first time in many years, I do not know what I want to do next. I am pretty sure my next job will not be in the digital music business. This isn't the first time I've left a digital music service, (by a long shot) but it may be the last. After more than 15 years, I am ready for a change. For now, I am taking some time off. I have a few plans. I want to finish some music of my own. Practice guitar. Travel and visit some friends and relatives. Work out and rehabilitate my shoulder. Read. Catch up on all those TV shows I keep hearing about. Get bored. Perhaps even spend more time writing here. I will miss seeing my colleagues every day, and I expect I will eventually feel some loss at being out of the digital music game. For now, I'll savor the victories my team had, put my feet up for a bit, and listen to some records. Tidal, the streaming music service Jay Z just bought, has "officially" launched. The overblown video they provided is a good example of some of the problems with today's music business. Here's a bunch of artists talking about "a new world", "changing the course of history", "last stands" and "human art" and other stuff that sounds really good, if a bit incoherent (like some of the artists themselves, I suppose). And yet, it says absolutely nothing about what Tidal is, or why their involvement matters, or what they are actually going to do to change things. So to be clear: Tidal is just like every other digital music subscription service launched since Rhapsody 1.0 hit the world 15 years ago. It's got the same features, apps, limitations, rules, and catalog as Spotify, Rhapsody, RDIO, Deezer, Beats, and everybody else. Their plan for differentiation? Exclusive content and artist partnerships. Just like everyone else. Tidal does have one difference: instead of $10 per month, you'll pay $20 per month (if you want the special "lossless" audio option)...and Tidal even offers the same $10 per month pricing if you don't need lossless streaming. They even call it "Premium", just like...well, you get the idea. It leads one to believe the deals and business model behind Tidal are also not substantially different from any of the other music services, which means prospects for long term survival are not good. Lossless (or HD or high quality) audio is not a new idea (or even a particularly good one) for streaming services. I'm trying to figure out why that's revolutionary. There's been no disclosure of how Tidal's going to use that extra money to compensate artists. For all you know, it's going right into Jay Z's pocket (or the pockets of the other artists who are "part owners"), or for jet fuel or crazy salaries. Or for paying fees to the artists standing uncomfortably on this stage listening to Alicia Keys talk. So we're left with one thing: Tidal is "special" because some artists are part owners. It is then difficult to take any of their previous comments about the "problems" of the digital music business seriously: They're offering the same product, with the same pricing, deals, economics, and features, as everyone else. But suddenly it's OK because they are the ones at the helm. Tidal is the SmartWater of digital music services. It's also part of the current vogue of celebrity endorsed/powered/designed/owned services, including the Dre/Trent Reznor Beats (and future Apple service), Neil Young's Pono, and the various crazy things people like Will.I.Am, Lady Gaga, and more have been paid to do by hip companies like HP and Intel. For the next few years at least, celebrities will be able to leverage their star power and rep for advisory positions and paychecks to lend new services legitimacy.